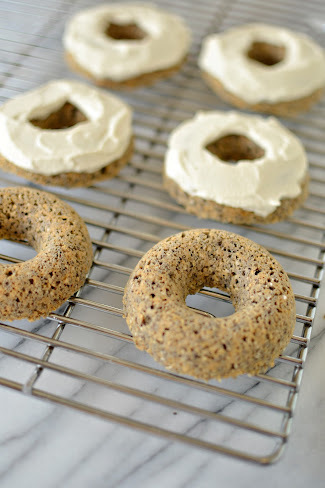 As I mentioned in my last post, I made Angela's chia power doughnuts last weekend. And then I made them again 2 days later. 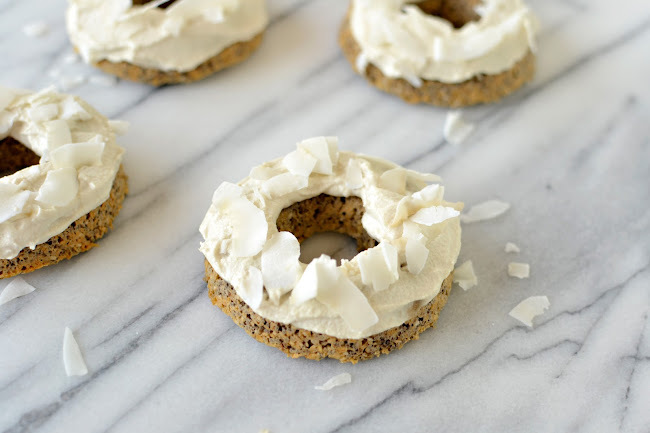 With cashew cream and coconut sprinkles! Mmmm they're amazing! I bought The Oh She Glows Cookbook a couple weeks ago and have never been happier with a cookbook. I'm not a vegan but you definitely don't have to be to enjoy this book. Lots of gluten-free options too, which is what drew me to it. 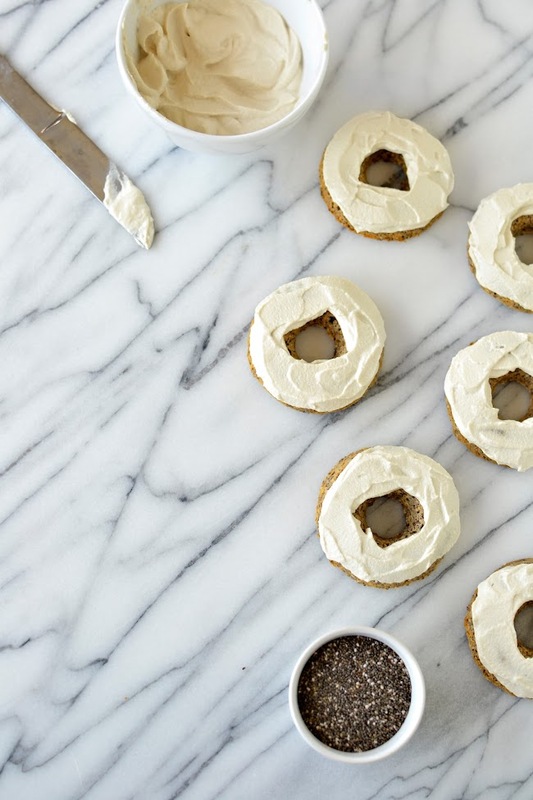 Everything I've made so far, including these doughnuts, have been perfect and sooo easy. 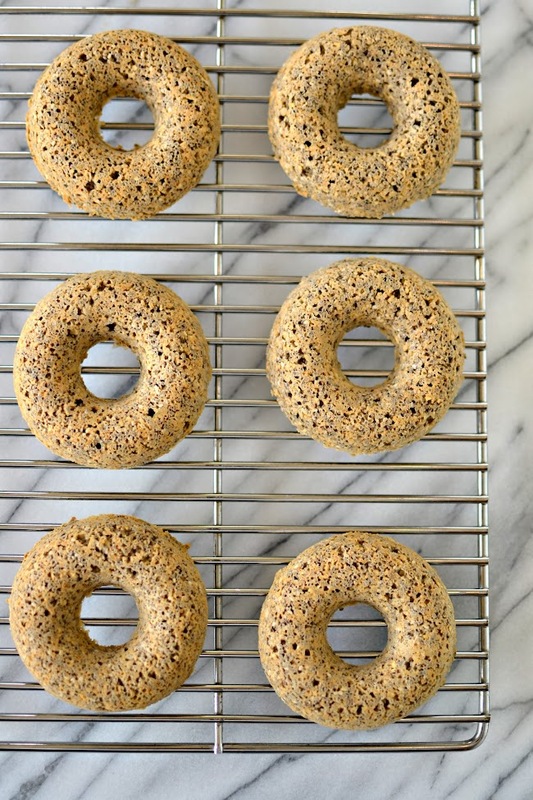 These little doughnuts are full of chia seeds which gives a crunchy texture, tastes kind of like poppyseed cake! 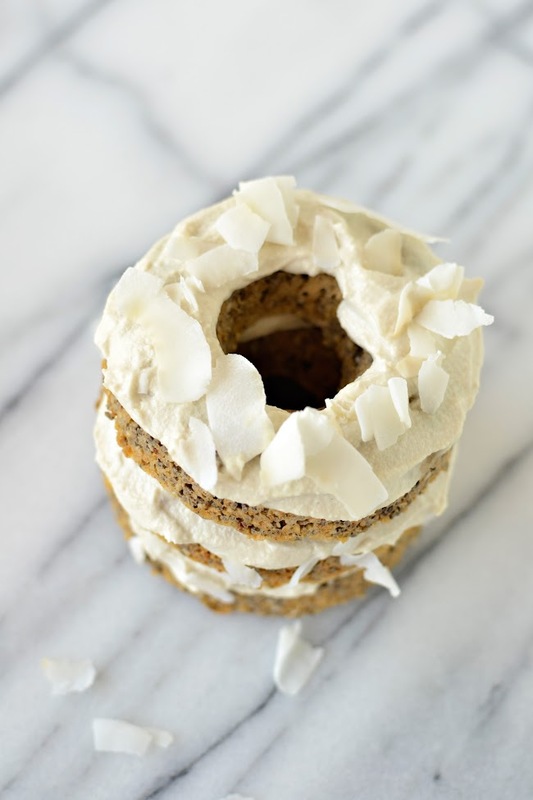 Angela has a recipe for cashew cream in her book, which I thought would go well on top of the doughnuts. And then I added some every-so-slightly toasted coconut. 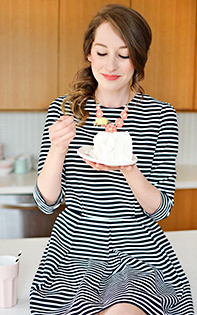 I could see myself slipping one into my purse (maybe without the cream) for a snack or serving them at brunch. 1. Preheat the oven to 300ºF (150ºC). Lightly grease a 6-cavity doughnut pan with oil. Set aside. 2. 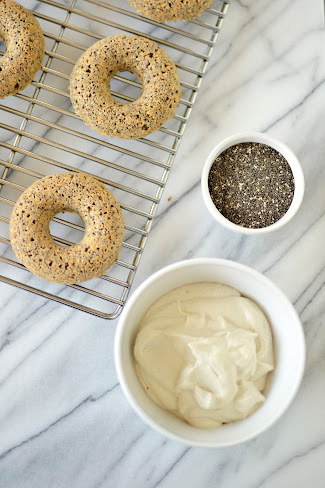 In a large bowl, combine the oat flour, chia seeds, baking powder, salt and cinnamon. 3. Add the maple syrup (or honey if you're not doing vegan), milk, and vanilla and stir until combined. 4. Spoon the batter into the prepared doughnut pan, filling each cavity to the top. 5. Bake the doughnuts for 22 to 26 minutes, until firm to the touch. A toothpick inserted into a doughnut should come out clean. 6. Cool the doughnuts in the pan for about 10 minutes, and then carefully invert the pan onto a cooling rack. 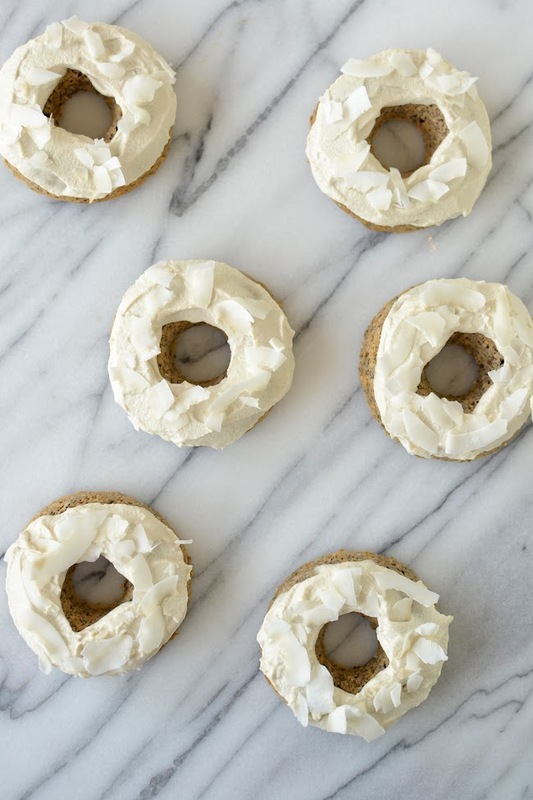 The doughnuts should pop right out - if they don't, let them cool a bit more and gently run a butter knife along the edges of the wells to loosen them. Cool the doughnuts completely on the rack. 1. 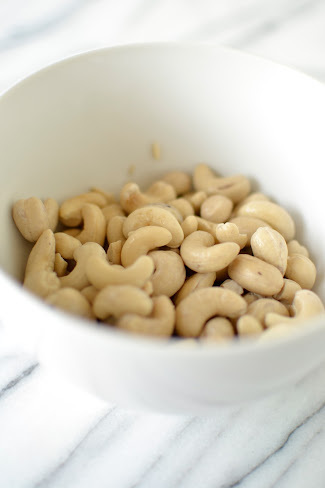 The night before, soak the cashews in enough water to cover them. Or pour boiling water over them and soak for 2 hours. In the morning (or 8 hours later), drain and rinse. 2. 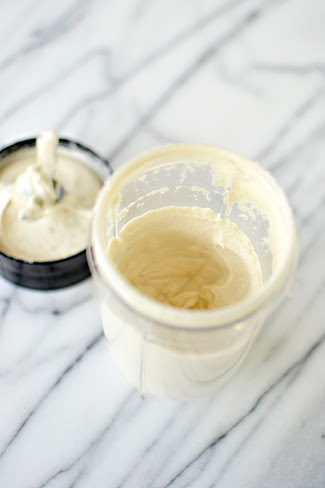 Transfer cashews to a blender (I used my magic bullet!) with water, vanilla, and sweetener. Blend on high speed until the cream is smooth. 1. 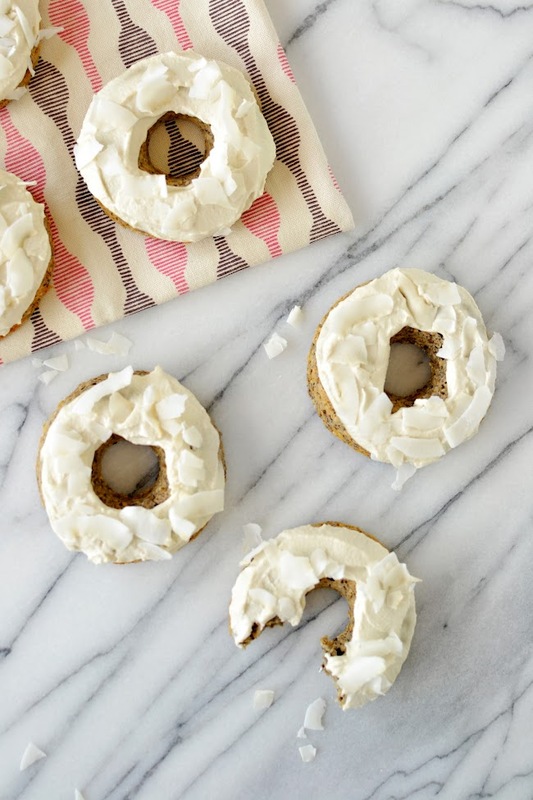 Spread coconut onto a baking sheet and bake for 3 minutes at 350ºF (175ºC). Cool completely. 2. 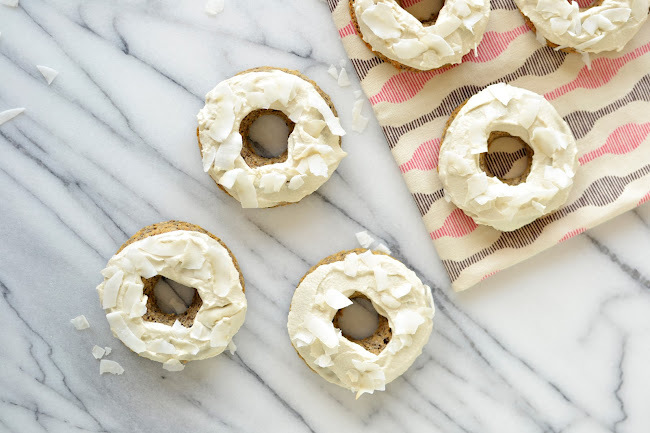 Spread a dollop of the cream onto the doughnuts and sprinkle with coconut.